When it’s time to choose a repair facility to care for your car, it all comes down to a matter of trust. Having your vehicle damaged is unpleasant enough, without the additional worry of wondering whether the repair work will be accurate and reliable. Here at Dawson’s Collision & Glass we want to give you the peace of mind that comes from knowing your vehicle is in capable hands, and the assurance that it will be completely restored to its original performance and beauty. Integrity is the difference between a car that performs like new and one that just looks like it. We meticulously restore your vehicle’s original factory appearance, we are committed to delivering more than just a “cosmetic make-over”. We’ll repair your vehicle so it once again meets factory specifications. Once the repairs are complete, you can be as confident of your vehicle’s performance as you were the day you bought it. 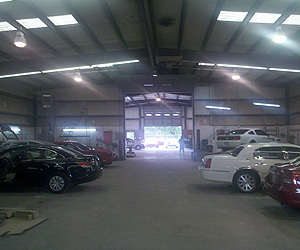 Once your car is as good as new again, we want to make sure you are happy with the services performed. Each person who played a part in restoring your vehicle is dedicated to quality results. If we failed to meet your expectations in any way, please let us know. We would like to be the first to know of any problems you may experience, and make it right for you.